ProLab Caffeine provides the energizing effects of caffeine with zero added sugar or calories to support your training needs without compromising your dietary goals. Caffeine triggers a range of performance-specific benefits including improved focus, elevated alertness, faster reaction time, reduced fatigue, increased endurance and elevated mood. 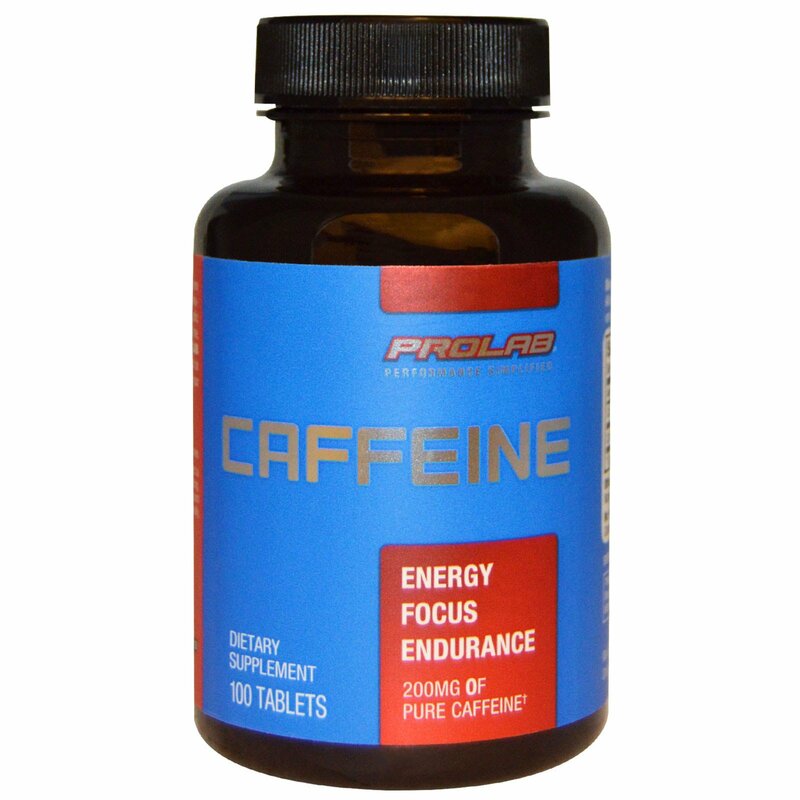 ProLab Caffeine delivers a surge of 200 mg of caffeine any time you need to quickly jump start your mental and physical performance. * You do your part. We'll do ours. Consult your healthcare professional prior to use if you have or suspect a medical condition, are taking prescription drugs, or are pregnant or lactating. 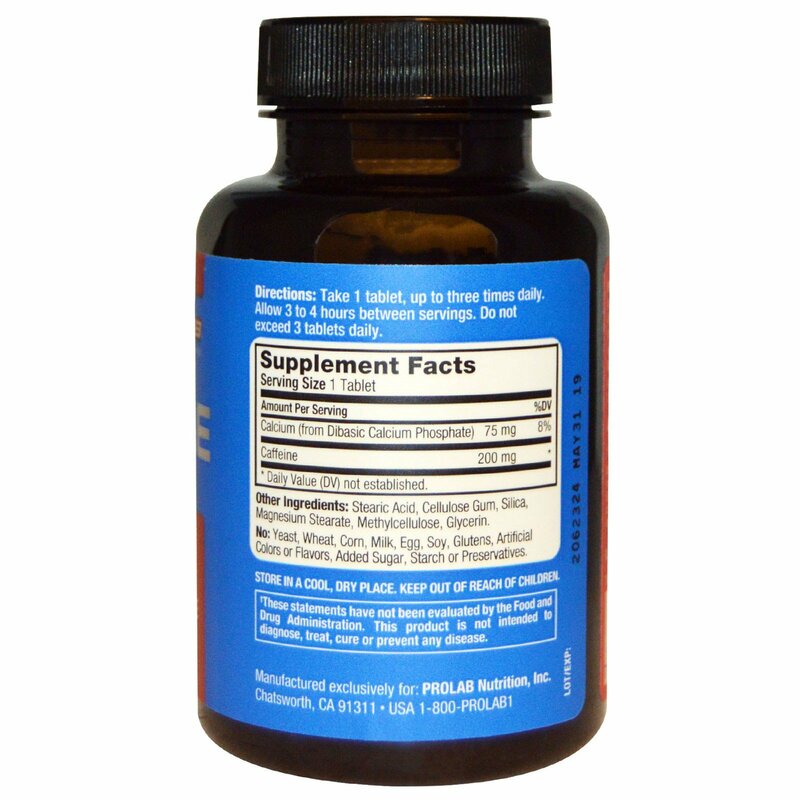 Each serving contains as much caffeine as about 2 cups of coffee. Too much caffeine may cause nervousness, irritability, sleeplessness, and occasionally, rapid heartbeat. Do not exceed the recommended intake.